A new set of mandatory rules introduced from 1st April 2019 and though the document itself is titled a first edition, it supersedes 3 previous editions published as codes of practice. The new code sets out the mandatory requirements for landlords and property managers – if they don’t comply with them, they may face legal and disciplinary action. Making the guidance mandatory will make service charges clear and transparent for all tenants – rather than just to those whose landlords followed the guidance as best practice. For example, in the past, it wasn’t set in stone who should be responsible for paying for things like marketing events held in an office building or a shopping centre. Now there’s clear guidance that says the landlord should contribute 50% towards the cost of such events, says Joanna Crofts. Another example is, where a landlord has agreed a capped or fixed service charge as an incentive to secure a new tenant, the landlord must pay for any shortfall, and not simply try to hide this and recover the shortfall from the other occupiers. The service charge matrix showing the basis for recovery of costs must be completely transparent and disclosed, she says. Service charges on different commercial buildings will now also be easier to compare. So, if you’re looking for a property to lease or buy, this will help you make the right decision on which premises to choose, in relation to service charges. The change that will have the biggest impact, says Joanna Crofts, will be the new mandatory – much tighter – timescales for budgeting and settling service charge accounts. They now have to be reconciled annually. “Until now, unless the lease states otherwise, there was nothing stopping a landlord going back several years to recover costs owed. 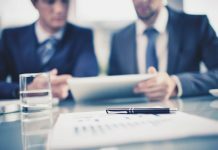 This can have a significant negative impact on a tenant’s cash flow. Similarly, if too much time elapses, a landlord risks losing their chance to recover money owed because a former occupier may have since become insolvent,” says Joanna Crofts. If you are a landlord and are up-to-date with your service charge accounting, this won’t be an issue but, if you have a backlog already, you really need to get up to speed now. 1. 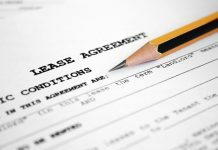 All expenditure that the landlord wants to charge for must be in accordance with the terms of the lease. 2. Landlords must recover no more than 100 per cent of the costs of the provision of the services. 3. Annually, landlords must give tenants service charge budgets, including appropriate explanatory commentary. 4. Annually, landlords must give tenants an approved set of service charge accounts showing a true and accurate record of actual expenditure. 5. Landlords must give tenants a service charge apportionment matrix for their property each year. 6. Service charge monies must be held in one or more discrete (or virtual) bank accounts. 7. Interest earned on service charge accounts must be paid into the service charge account. 8. Practitioners must tell tenants that, if a dispute exists, any service charge payment withheld by them should only be the actual sum in dispute. 9. Practitioners must tell landlords that, following the resolution of a dispute, any incorrect service charge should be adjusted straight away. Next articleDo you know how to evict a troublesome tenant?